The Nahe wine region is located in the German state of Rhineland-Palatinate (Rheinland-Pfalz). It runs along the Nahe River between the towns of Martinstein and Bingen. 8,671,500 gallons (328,255 hectoliters) of wine are produced annually in the Nahe region (40.9% Prädikatswein; 56.9% Qualitätswein bestimmter Anbaugebiete). 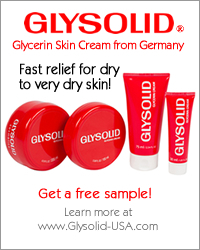 This accounts for only 3.6% of the volume from Germany's entire wine region. The climate in the Nahe region is mild, rich in sunlight, and low in precipitation. At the same time, the Soon Forest and Hunsrück hills protect the region from cold winds. These conditions gives grapes a long, warm, dry, ripening period in late Summer. In no other wine region in Germany is the soil makeup so diverse as it is here in the Nahe region given its small area. The soil is mineral-rich and includes slate, clay, loam, loess, sand, gravel, volcanic rock. The dominant grape in the Nahe region is the Riesling. Other important grapes are listed below. The mineral-rich soils in the region yield a broad spectrum of wines. The Riesling grapes, grown primarily on the steep vineyards of stony, volcanic, or slate soils, yield wines that are spicy, sleek, and racy. The more gently sloping sites, with clay, loam, or loess soils (often mixed with sand or gravel), are ideal for the Silvaner, Kerner, Müller-Thurgau, and Scheurebe grapes. These yield full-bodied, mild, and fragrant wines. Nahe Grauburgunder and Weissburgunder are dry and very food-compatible. Wine production in the Nahe region dates back 2000 years to the time of the Romans. 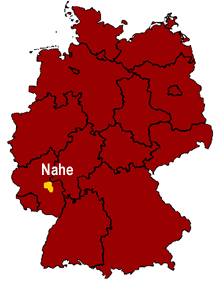 It wasn't until 1971 that the Nahe region became an official, stand-alone wine producing region for Germany.